Are Your Relationships with Friends Suffering Because You're a Caregiver? - All Care Hawaii. LLC. Are Your Relationships with Friends Suffering Because You’re a Caregiver? One area of life in which family caregivers tend to have some difficulty is with their friendships. Whether it’s due to time, energy, or fear that friends will no longer be there for them, friendships can still be repaired in most cases. You might not realize it, but in the past, you were probably a lot more proactive about reaching out to your friends. As a caregiver, it’s tough to have that same sort of activity level and so you’ve probably stopped being the one to initiate contact as much. Your friends might look at that as a sign that you’re too busy and they don’t want to bother you. So try reaching out to them more often and see if that helps to improve your relationships. In the past, you might have been able to spend hours on the phone catching up, but now that’s not exactly ideal. There are other means of keeping your friendship going that might work better for you and your friends in this new stage of your life. You can jot a quick note on a blank note card in the evening, for example, and drop it in the mail. Other options could include texting, Facebook messages, or even a quick phone call when you have a minute. For some caregivers, it’s not about how to communicate with friends it’s more an issue of having something to say. Caregiving can feel like a monotonous event that no one in your life wants to hear about. That’s where having some other interests besides caregiving is helpful for you. Are you a knitter or crafter? Talk to your friends about that. You don’t have to avoid caregiving, but you also might want to talk about something else for a little while. One important item to consider is that your close relationships with friends can change as time goes on. Your friends have life changes, you have life changes, and sometimes that relationship may no longer be right for either of you. There’s nothing wrong with this and there’s no one to blame, but it does still hurt. Making new friends can help, especially if they’re also caregivers. While you definitely should be doing your part to maintain your friendships as you fulfill your job as a caregiver, don’t add more pressure to yourself if you’re just not able to reach out right now. Honor your own needs, too. 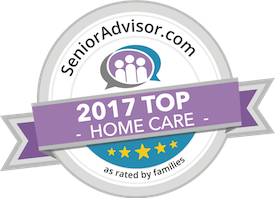 Have questions about  senior care in Waikiki, HI? Contact the caring staff at All Care Hawaii today. Call us 24 hours a day, 7 days a week!